The marketing mix of Britannia discusses the marketing mix strategy of Britannia Industries Limited (BIL), which is a market leader in the Indian bakery and biscuit market. Established in March 1918, it has steadily grown and secured itself as one of the heavyweights of India. Its portfolio of brands includes Tiger, Good Day, Marie Gold and 50:50. It became the first company in the East to use imported gas ovens, and as a business, flourished and began to acquire its reputation for quality and value. Installing automatic plants in Calcutta and Mumbai helped to increase production, and a number of small takeovers strengthened the company’s position. In 1997 the company had a mission change, and identified a ‘eat healthy, think better’ strategy as one they intended to pursue. In the same year they joined the dairy product market, and released a string of snacks, with this philosophy in mind. Dairy products account for around 10% of the company’s revenue. From 1998-2001, the company’s operating profits were 18%, as sales grew at a compound annual rate – against the market – of 16%. More recently, BIL has been seeing growth of around 27% per year, compared to the industry growth rate of about 20%. BIL offer a wide variety of edible goods. Bakeries set up in the 1960s at various locations around India ensured a constant supply of fresh bread, and as the company began distributing biscuits from other smaller companies it had taken over, they started to manufacture and release their own biscuits. Their main products include bread, biscuits, cakes, rusk and dairy products. They have continued to release a steady flow of products over the years, for example, fruit bread, or the dairy product Half/Half. 90% of their revenue, however, comes from biscuit manufacturing. Their combined factory capacity is some 433,000 tonnes per year. In 2006, the Tiger brand part of the company achieved total sales of $150 million. BILs present annual revenue is around Rs 22 billion, nine tenths of which is generated through biscuit sales. Britannia has been one of the market share holder for many years in India. It has also concluded some foreign deals, such as working with Peek, Frean and Company which is a successful UK biscuit company, and also completed takeovers such as that of Parry’s in 1975 which enabled the company to distribute its goods to more people. The company was built up and was known for many years as ‘the Biscuit King’. Britannia currently has an estimated 38% of the market share. The company has also invested in its dairy products, and in 2001 announced a joint venture with the New Zealand Dairy, allowing it to produce cheese and butter amongst other things. The company distributes its goods up and down the length and breadth of India. In 2007 BIL agreed to a joint venture with the Khimji Ramdas Group, and acquired a 70% beneficial stake in the Strategic Foods International Company based in Dubai. The company has been voted one of India’s 100 most trusted companies, as listed in the Brands Trust Report. For distribution, Britannia follows the FMCG channel of distribution wherein it appoints distributors at select locations. These distributors are then responsible for handling dealers and retail showrooms. Modern trade channels like Big bazaar and D mart as well as others are handled directly by the company. The distribution channel follows breaking the bulk where in large amounts are transferred from factory to C&F, from C&F to distributor and then forward to retailers and dealers. The distribution in urban areas is fantastic with Britannia being present almost everywhere. However, the rural penetration of the company is still less because of the challenges of distribution in rural area. 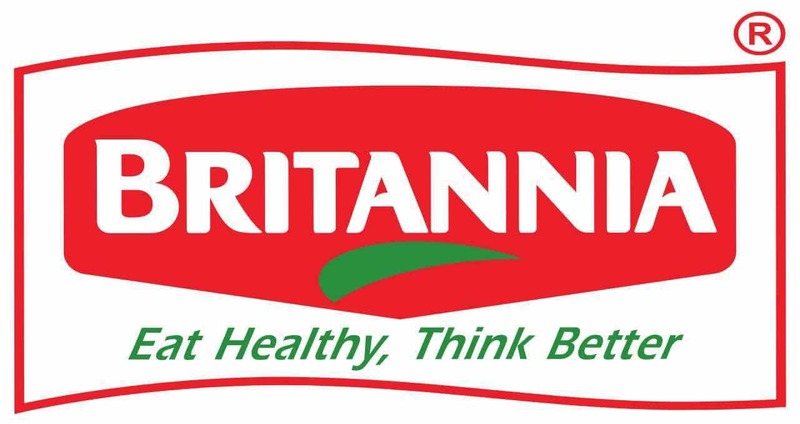 The strongest asset for the promotion of Britannia products is the product itself. The products are tasty and people like it. Thus, a pull is created directly by the product. However, today, no company can exist without promotions and advertising. Same is in the case of Britannia as well. However, the advertising spends for Britannia are controlled because of the brand equity of Britannia products and the presence of the brand for almost a century in the Indian market. The company uses most of the usual methods of advertising, including billboards, magazines, tv ads and point of purchase advertising. In November 2012, BIL hired Salman Khan to endorse its Tiger range of products. The popular Bollywood actor promotes the core values of the Tiger brand range because of his own dashing style and personality. Britannia has high advertising spends for products like Good day and Bourbon which are almost stars for the Britannia brand. However, the investment for marketing of Dairy products is minimal because a lot of expenses have to be done for the distribution of the products. Britannia has enough brand and clout in the market, because of its constant presence in the last few decades, that its product receive a natural pull from the market. Competitive pricing is the sole pricing strategy which Britannia uses. Parle is one of the major competitors of Britannia and in that, Parle G has remained unbeatable for decades. In dairy, Amul is a strong competitor for Milk, Cheese and other dairy based products. In bakery products, you will find local competition as well as Monginis and other veg cake makers who have their own line of products. To stay above all of them, Britannia adopts a competitive pricing strategy. Thus, Britannia products are much better in quality and are good in price as well. The pricing strategy along with distribution has been so strong, that people buy these products even on Railway stations and while traveling , instead of buying local snacks. Hello ! I liked ths website very much..